The 2017 OSGeo Board elections are about to start. Some of us who have been involved with OSGeo over the years have collated thoughts about the effectiveness of different strategies. Hopefully these thoughts will be useful for future boards, and charter members who are about to select board members. 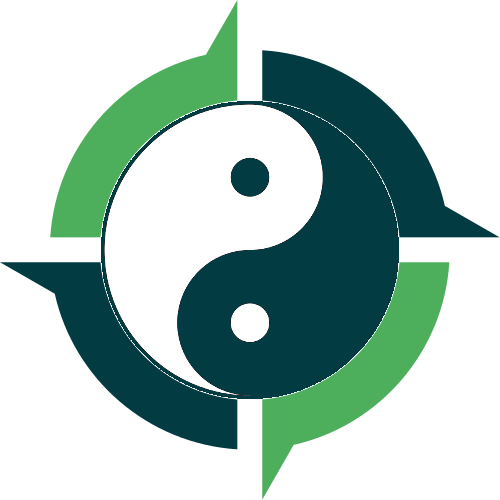 As with life, there are a number of Yin vs Yang questions we are continually trying to balance. Discussions around acting as a high or low capital organisation; organising top down vs bottom up; populating a board with old wisdom or fresh blood; personal vs altruistic motivation; protecting privacy vs public transparency. Let’s discuss some of them here. OSGeo is an Open Source organisation using a primary currency of volunteer time. We mostly self-manage our time via principles of Do-ocracy and Merit-ocracy. This is bottom up. High or low capital organisation? This high capital path is how the Apache foundation is set up, and how LocationTech propose to organise themselves. It is the path that OSGeo started following when founded under the umbrella of Autodesk. However, as OSGeo has grown, OSGeo has slowly evolved toward a low capital volunteer focused organisation. Our overheads are very low, which means we waste very little of our volunteer labour and capital on the time consuming task of chasing and managing money. Consequently, any money we do receive (from conference windfalls or sponsorship) goes a long way - as it doesn't get eaten up by high overheads. Within small communities influence is based around meritocracy and do-ocracy. Good ideas bubble to the top and those who do the work decide what work gets done. Leaders who try to pull rank in order to gain influence quickly lose volunteers. Within these small communities, a person’s title hold little tradable value. However, our OSGeo community has grown very large, upward of tens of thousands of people. At this size, we often can’t use our personal relationships to assess reputation and trust. Instead we need to rely on other cues, such as titles and allocated positions of power. Consider also that OSGeo projects have become widely adopted. As such, knowledge and influence within an OSGeo community has become a valuable commodity. It helps land a job; secure a speaking slot at a conference; or get an academic paper published. A title is sometimes awarded to a dedicated volunteer, hoping that it can be traded for value within the commercial economy. (In practice, deriving value from a title is much harder than it sounds). There are both altruistic and personal reasons for someone to obtain a title. A title can be used to improve the effectiveness of the volunteer; or to improve the volunteers financial opportunities. This can prompt questions of a volunteer’s motivations. In response to this, over the years we have seen a gradual change to position of roles within the OSGeo community. OSGeo board candidates have been asked for their “vision”, and “what they would like to change or introduce”. https://wiki.osgeo.org/wiki/Election_2017_Candidate_Manifestos These are valid questions if OSGeo were run as a command-and-control top-down hierarchy; if board made decisions were delegated to OSGeo committees to implement. But OSGeo is bottom-up. Boards which attempt to centralise control and delegate tasks cause resentment and disengagement amongst volunteers. Likewise, communities who try to delegate tasks to their leaders merely burn out their leaders. Both are ignoring the principles of Do-ocracy and Merit-ocracy. So ironically, boards which do less are often helping more. Darwinian evolution means that only awesome ideas and inspiring leaders attract volunteer attention - and that is a good thing. If all the ideas from an organisation come from management, then management isn’t listening to their team. In most cases the board should keep out of the way of OSGeo communities. Only in exceptional circumstances should a board override volunteer initiatives. Decisions and power within OSGeo should be moved back into OSGeo committees, chapters and projects. This empowers our community, and motivates volunteers wishing to scratch an itch. We do want our board members to be enlightened, motivated and engaged within OSGeo. This active engagement should be done within OSGeo communities: partaking, facilitating or mentoring as required. A recent example of this was Jody Garnett’s active involvement with OSGeo rebranding - where he worked with others within the OSGeo marketing committee. While we have a charter membership of nearly 400 who are tasked with ‘protecting’ the principles of the foundation and voting for new charter members and the board. Beyond this, charter members have had little way of engaging with the board to influence the direction of OSGeo. How can we balance the signal-to-noise ratio such that we can achieve effective membership engagement with the board without overwhelming ourselves with chatter? Currently we have no formal or prescribed processes for such consultation. Should we populate our board with old wisdom or encourage fresh blood and new ideas? We ideally want a bit of both, bring wisdom from the past, but also spreading the opportunity of leadership across our membership. We should avoid leadership becoming an exclusive “boys club” without active community involvement, and possibly should consider maximum terms for board members. If our leadership follow a “hands off oversight role”, then past leaders can still play influential roles within OSGeo’s subcommittees. Prior OSGeo thought leaders have suggested it’s time to grow from OSGeo 1.0 to OSGeo 2.0; time to update our vision and mission. A few of those ideas have fed into OSGeo’s website revamp currently underway. This has been a good start, but there is still room to acknowledge that much has changed since OSGeo was born a decade ago, and there are plenty of opportunities to positively redefine ourselves. A test of OSGeo’s effectiveness is to see how well community ideas are embraced and taken through to implementation. This is a challenge that I hope will attract new energy and new ideas from a new OSGeo generation. (There are a few more which I haven’t located - please do suggest them). Let’s recognise that OSGeo is an Open Source community, and we organise ourselves best with bottom-up Meritocracy and Do-ocracy. Wherever possible, decisions should be made at the committee, chapter or project level, with the board merely providing hands-off oversight. This empowers and enables our sub-communities. Let’s identify strategic topics where the OSGeo board would benefit from consultation with charter membership and work out how this could be accomplished efficiently and effectively. Let’s embrace and encourage new blood into our leadership ranks, while retaining access to our wise old white beards. The one top-down task for the board is based around allocation of OSGeo’s (minimal) budget.